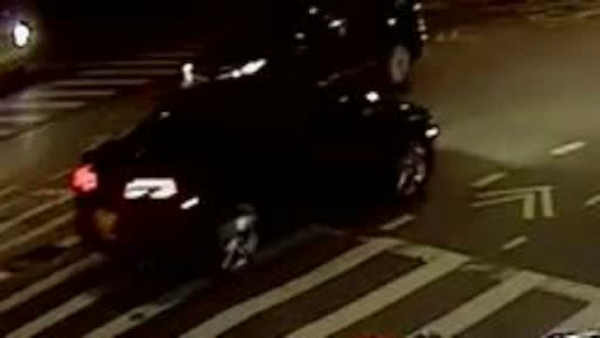 WILLIAMSBURG, Brooklyn (WABC) -- Police have released surveillance images of the vehicle they are looking for in a hit and run accident that killed a man riding a bicycle in Brooklyn early Saturday. Investigators believe it is a black Chevy Camaro with gold New York State license plates. The victim has been identified as 35-year-old Matthew Von Ohlen from Queens. The accident happened about 2:30 a.m. in front of 690 Grand Street in Williamsburg. The bicyclist was in the bike lane at the time. The driver fled the scene southbound on Bushwick Avenue, police say. Marcus Solis has the latest on a hit and run crash that killed a bicyclist in Williamsburg.